On July 11, 1920, Yul Brynner was born Yuli Borisovich Bryner in the turbulent and revolutionary climate of Vladivostok, Russia. His father, Boris Bryner, was a mining engineer and his mother, Marousia Blagovidova, who came from the intelligentsia, was an actress and singer. Yul grew up with a variety of languages swirling around the household including Russian, English, French, Chinese, Korean, Czech and Japanese. When he was 6 years old, the family moved to Harbin, China, where he and his sister, Vera, attended a school run by the YMCA. Yul’s parents divorced in 1934, and with an increasingly chaotic military environment, Brynner’s mother decided to move with the children to Paris. At this time in the late nineteenth century, Paris was the undisputed Mecca of the European arts, and the children were enrolled at Lycée Moncelle, one of the city’s top schools. During this time, Yul focused on his skills as a guitar player. At age 16, Yul dropped out of school to become a musician. He began playing guitar with a group of gypsies amidst the decadent backdrop of Russian nightclubs in Paris decorated with rich velvet and gilded candelabras. It was in this creative environment, among these amazing artists, that Yul met luminaries such as Jean Cocteau and Pablo Picasso. After this period, Brynner moved on and worked as a trapeze artist with the famed Cirque d'Hiver company and soon became an apprentice at the Théâtre des Mathurins in Paris. At age 20, after a brief three-month stay in England, Yul traveled with his mother to the United States to continue his studies with Michael Chekhov. Yul lived in New York City and began to tour with Chekhov’s theatrical troupe. Chekhov cast Yul in a series of Shakespeare plays where he honed his acting skills. It did not take long for Brynner to be cast in his first Broadway role in Shakespeare’s Twelfth Night (1941) and then Lute Song (1945), starring opposite famed actress Mary Martin. After these notable appearances on Broadway, Brynner struggled to find acting work and fell in to the burgeoning world of television. In 1950, Yul held a steady job as a staff producer and director at CBS, working alongside Sidney Lumet and his assistant, John Frankenheimer. It was at this time that Yul developed his life long passion for photography. Yul continued to pursue his acting career and, in 1951, he landed the defining role of his career as the King of Siam in the original stage production of Rodgers and Hammerstein's musical, The King and I. Brynner won a Tony Award for his role, which he performed on stage over 5,000 times over the span of his career. He went on to star in and co-direct the film version of The King and I, and was intimately involved in virtually every aspect of the production. At thirty-six years old, Yul won a Tony Award for his performance in The King and I, as well as an Academy Award for Best Actor in the film adaption. Yul went on to star in a multitude of highly-acclaimed films including The Ten Commandments (1956) with Charlton Heston, Anastasia (1956), co-starring Ingrid Bergman, The Brothers Karamazov (1958) with William Shatner, The Magnificent Seven (1960) with Steve McQueen, Morituri (1965) co-starring Marlon Brando, and The Madwoman of Chaillot (1969) with Katharine Hepburn. Among his final feature roles, Brynner appeared in Michael Crichton's Westworld (1973) and its sequel, Futureworld (1976). Yul also appeared in drag, as a torch singer, in an unbilled role opposite Roman Polanski in the Peter Sellers comedy, The Magic Christian (1969). In 1959, Yul was extremely moved by a visit to a refugee camp. This experience prompted him to immediately accept an offer to serve as special consultant to the United Nations High Commissioner for Refugees. During his tenure, Brynner toured several refugee camps in Europe, the Middle and Far East, documenting his experiences. Yul married four times and had four children. His first marriage was to actress Virginia Gilmore (1944-1960), they had one child, Yul Brynner II, born in 1946, and nicknamed “Rock”. Rock is now a historian, novelist, and professor at Connecticut State University. In 2006, Rock wrote non-fiction book about his father and family history, entitled, Empire and Odyssey: The Brynners in Far East Russia and Beyond. Yul’s second wife, Doris Kleiner (1960-1967), a great Chilean beauty and socialite, married Yul on the set of The Magnificent Seven (1960). Together, they had one child, Victoria Brynner, in 1962. Victoria is a brand consultant and lives in Los Angeles. Brynner’s third wife was Jacqueline Thion de la Chaume (1971-1981). Together they adopted two Vietnamese children, Mia Brynner-Campbell (1974), a high school English teacher and mother of two beautiful children living in West Palm Beach, Florida and Melody Brynner (1975), a print producer in New York City. In 1983, he married his fourth wife, Kathy Lee, a 24-year-old ballerina from Malaysia, and remained married until his death. 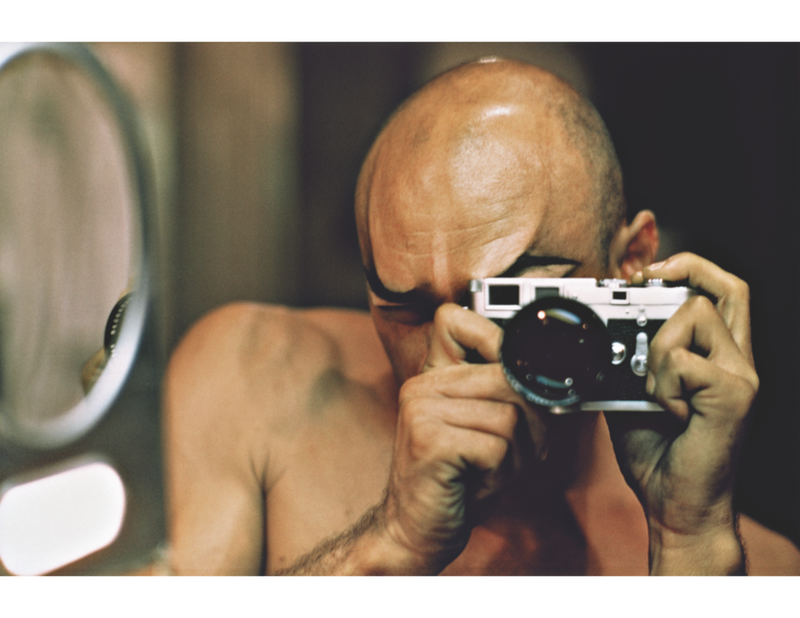 On October 10th 1985, Yul Brynner died after a long battle with lung cancer. Nine months prior to his death, Yul gave an interview on Good Morning America expressing his desire to make an anti-smoking commercial. After his death, the American Cancer Society turned a clip of this interview into an anti-smoking public service announcement, which was one of the most highly recognized and acclaimed PSAs ever made, resonating with millions around the world.